Ever wondered what it might be like to live in dark or sleep in a hot summer day without an AC ? Absurd, isn't it ? But with the rate at which we are using our resources, it may not be long before it actually happens. Scientist across the globe are searching for new resources, stocks and technology to prevent the near, unpleasant future of current and the next gen. One of these, an unexploited tech is that of Piezoelectricity. Piezoelectricity is an ability of some special materials (like crystals of quartz, ceramics of lithium niobite, gallium arsenide, zinc oxide) to trigger an electric charge when supposed to mechanical stress. These materials are available in basic instruments that we use in our daily life like microphones, quartz watch, gramophones. All these materials are run by the piezoelectric current. But how does it work? When you apply force (mechanical force) on it, an electric potential, on either sides of the crystal, appears which causes generation of electrical energy. In practice, the crystal becomes a tiny battery with positive and negative terminals and if we connect these with wires, current flows though it. But where can it be used ? 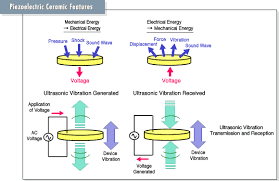 Piezoelectric crystals, as earlier mentioned, is also a source of energy. But how? 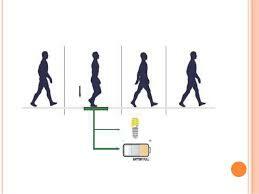 Piezoelectric crystals can be put in the footpaths and can be connected to a battery, so whenever a person steps on it, mechanical energy gets converted into electrical energy and gets stored in the battery for later uses. Also on highways, they can be connected to road lights and when any car or pedestrian crosses the path the bulb will glow on its own. This article is written by Prashasti Gupta of Amity International School Noida!! !